“Bip” the player meets “Bip” the cat. Around Fall 2001 I was moving in to a new place with my girlfriend at the time; she was 21, petite, had short red hair, a great sense of humor, loved to eat cheese and watch the X Files. We moved to a studio in a dodgy urban area, but it was ours and we loved it–we were young and still trying to understand the internal world of our hearts and minds among punk rock music, modern art, drugs and used furniture. One night we were behind our apartment building taking out the trash when we saw a small gray and white cat running around. After chasing the little rascal around for a while, we caught it and decided to adopt him, but we couldn’t decide on a name. “How about Bip?” I said. 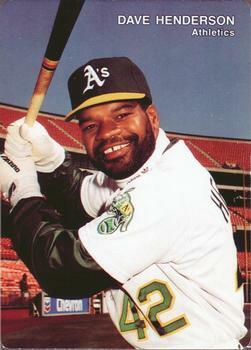 Leon Joseph “Bip” Roberts hadn’t been in the league for a couple of seasons, but at the time was announcing for the local AAA Sacramento River Cats and this predicated the name. 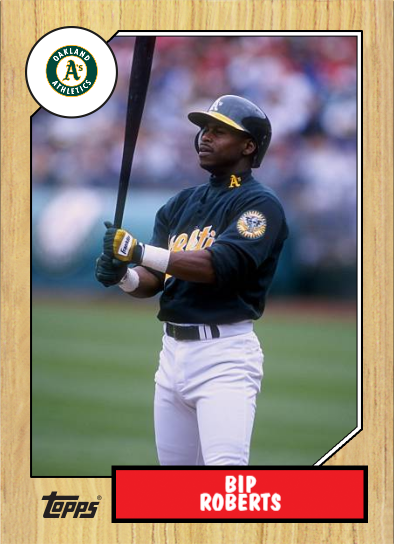 Besides, the player Bip was sort of smallish and an underdog who only hit 30 homers in his career. (One for the Oakland A’s!) The cat “Bip” was smallish and an underdog as well. The name stuck. Bip is probably gone now and the relationship is long over, as things tend to do, but the memories will always last. No word yet as if Bip (the cat) has hit any homers in the Big Leagues.